King Gloomberg, the MTA & the Irene-o-Con of 2011 | the "silent" majority no more! Bloomberg’s Follies: Shutting down the whole city. NOT productive. NOT necessary. Focus on Long Island, Staten Island and certain spots in the city like Battery Park but basically Bloomie seems to be into the Big Hype. The Melodrama. So he did the unprecedented. Shut down Manhattan Island…. at Noon…. on a Saturday. There is a superb editorial from the NY Sun that adds even more to this scenario of Bloomberg’s Follies. And now, AUG. 2011, with “Irene”&amp; the “Hurricane-of-the-Century” preparation looming, Bloomberg’s “Error of Commission” has SHUT THE CITY DOWN (again). Day 1- Saturday And, OH, the ANTICIPATION….looking for the winds and rains….The Waiting. The Watching. The “natives” knew this was a BIG over-reaction but not “Massachusetts Mike. 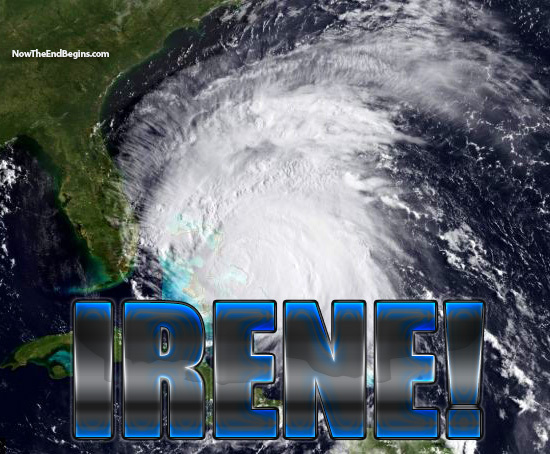 He managed to hype the horrors of the Irene so well that NYC on a Saturday morning was a picture of …well….FEAR. Gee, thanks a heap, Mike. Sat 9 AM. (This has got to be a first.) Restaurants in Manhattan with gobs and gobs of tape on their windows. And the signs on the stores and theatres. Some mentioning the rains &amp; the storm (though this sign seems a bit confused). Bottom line: cell phones broken? Stay broken thru-out this whole day of impending doom. And if you were looking for food or coffee. Good Luck. Shake Shack had an interesting approach. No theatres. No audience. Means: No Sardis. Ditto Joe Allens and its Bar Centrale. Restaurant Row was so, so quiet as the dreaded HIGH-NOON approached. The signs on the theatres had another approach. You could blame the rain or call it like it is: Nanny Bloomberg shut down the busses as well as the trains….so…NO SHOWS. The Helen Hayes theatre and the show “Rock of Ages” had THREE flyers of info. After all, keeping actors and patrons away from pre-sold shows. It’s complicated. Tourists who flew in from Europe to see Broadway shows. Nope. Nada. NO SHOWS. Unless you want see “Girls Girls Girls”. They probably never close. Tthe Naked Cowboy had to make a heap of $$. Those pictures the tourists take with him. (5 dollah here, 5 dollah there ) It adds up. If you’re a tourist in particular. No place to eat. No place to hang out. No entertainment. So people (tourists and locals) were jamming at the few food and drug stores (and liquor stores) left open. Buying mostly, from what empty shelves I saw: BEER WINE and PRETZELS . Also, due to the crush, they were using whatever boxes they could find to carry their necessities to the check out. And the tourists? They just continued to hang around Duffy Square at 46th and Broadway. Looking for something to do. And this being New York, one of those interesting street-fellows passed by (going who knows where) but instead of hiding from Irene in a shelter somewhere, he was moving ever so slowly walking uptown…. As the last of the busses passed by…. It’s going to be a long night. WAITING. WAITING while the MTA is working, putting in at least 8 hours of OVER TIME (at tax payer expense) shutting the whole system down. And we are told, come Monday, it will take hours for the MTA to get it up and running again. Three days of lost revenue for everyone but the MTA. Slide Show of the pictures (that I took with my cell phone) Didn’t set out to take pictures but then, I just couldn’t stop. And NEXT up. Posting on Day 2 and “Whatever happened to Irene”.